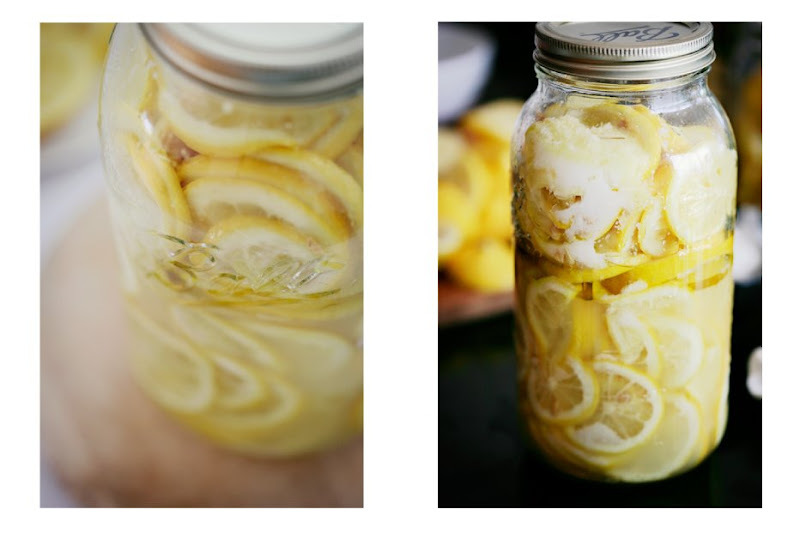 We used these Preserved Lemons in our Chicken Tagine, and they are one of the most popular Moroccan condiments. 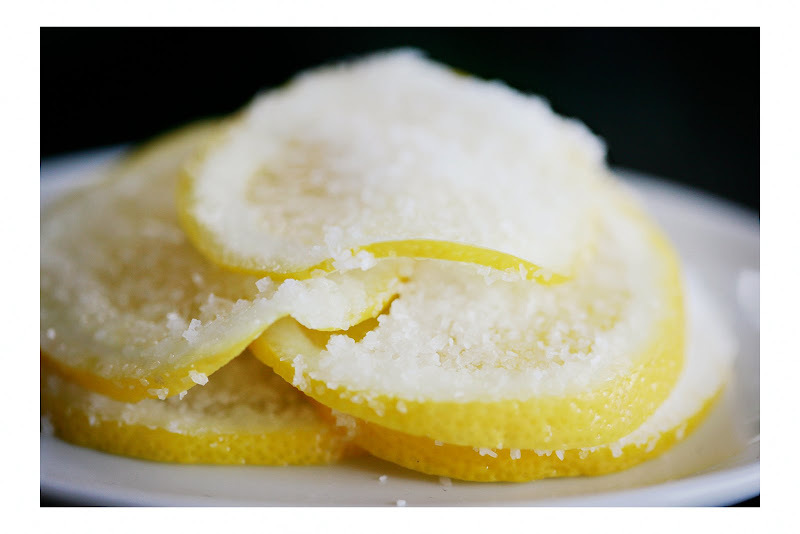 You can use them in many traditional Moroccan dishes, like couscous, fish & lamb. But don't be afraid to throw them into a salad, a pasta or any old chicken dish - we use them all the time! 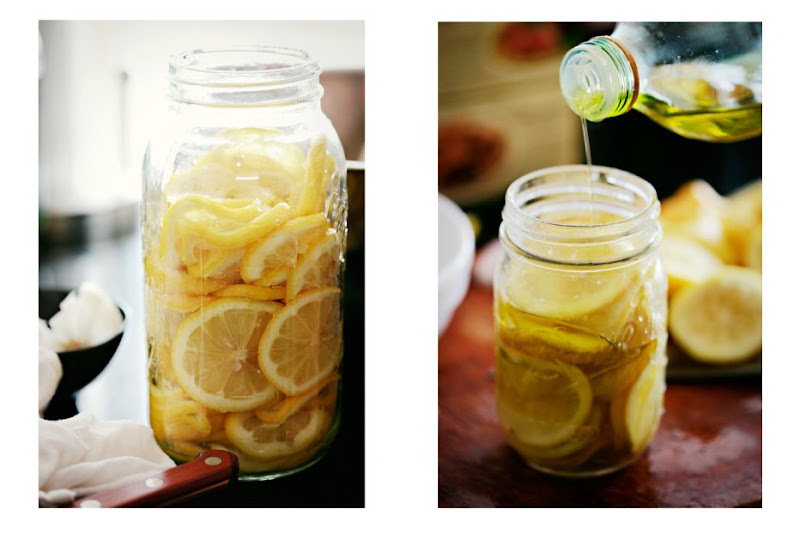 Fill the top of the jar with the extra lemon juice and top it with remaining olive oil. Be sure to fill the jar up to the very top and seal well. Store in Refrigerator for up to 6 months. Yummy! I definitely think Ill try this one! Yum! I definitely want to try this one! what a lovely space you have here! delicious. found you via pia's blog features. and have passed you on to a foodie/photographer friend. 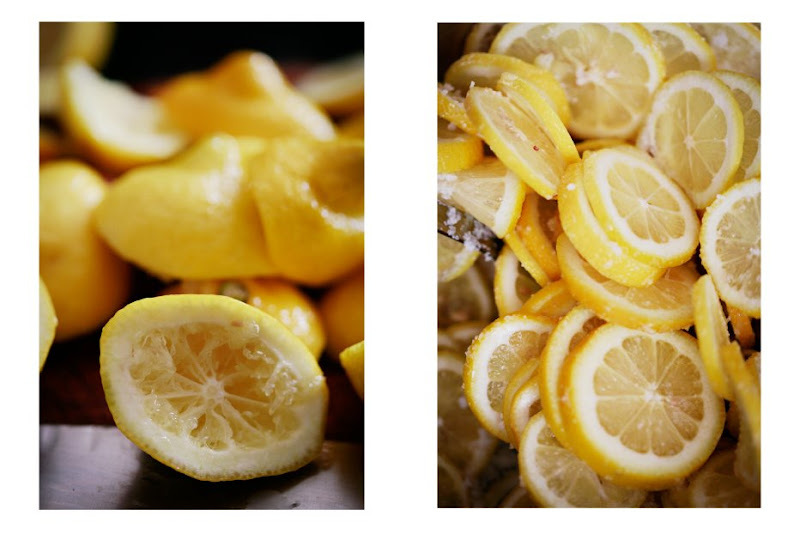 gorgeous images and inspirational treats. i'll surely visit again. how long would it be till they're ready to use? Sunday Supper :: Market, cont'd !